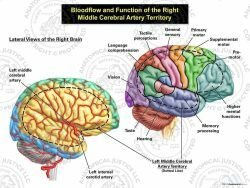 This exhibit depicts a lateral and an axial view of a brain with a cerebral artery embolus and stroke. 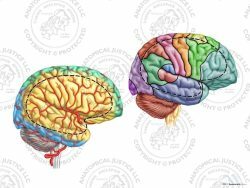 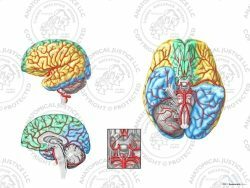 The lateral brain is color coded to show the territories of the anterior, middle, and posterior cerebral arteries. 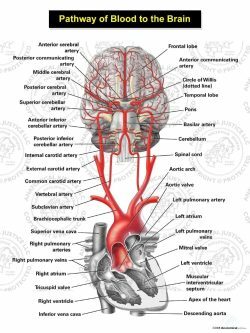 An embolus is seen occluding the middle cerebral artery and causing an infarct of the brain tissue. 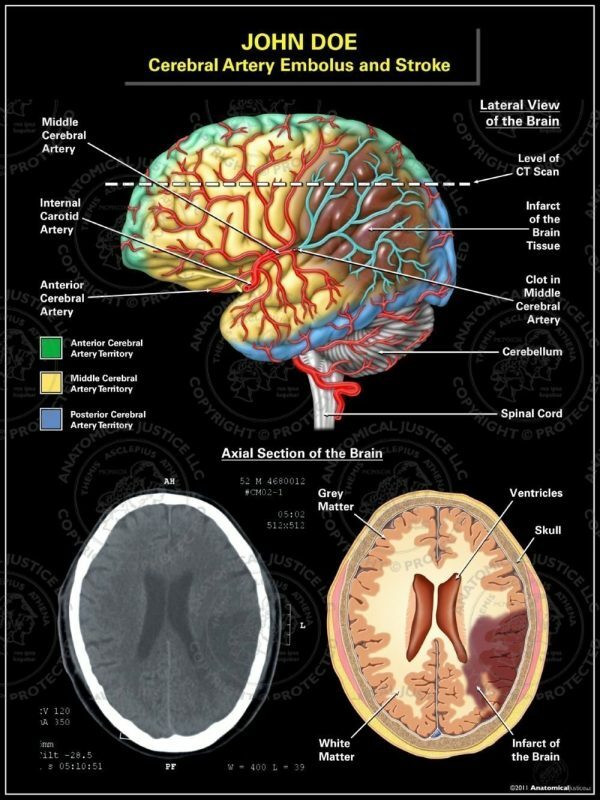 The axial section shows the location and depth of infarct within the brain tissues.